Please join us for the annual Staff Appreciation and Years of Service Brunch, which will be held at 10 a.m. Thursday, Dec. 22, in Connor Ballroom. 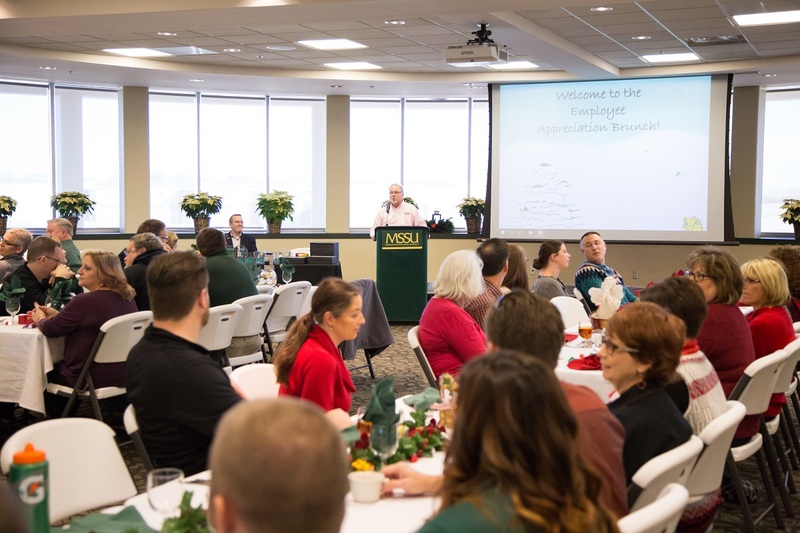 Professional and classified staff who have reached milestones in their years of service at Missouri Southern will be honored, including three individuals who will be celebrating 30 years of appreciated service! Also part of the festivities is the presentation of the 2016 Superior Service Award to one professional and one classified staff member whose outstanding contributions have made a positive impact on the university. Reservations are required. Contact Human Resources at ext. 9527 or email HR@mssu.edu by Friday, Dec. 16, to reserve a seat.